Saturday evening we were invited to dinner. Birkebeinerrittet was celebrating its 20th anniversary. In 1993 the first Birken on the mtb was organized. The track was 80 km long. Today it has been modified and made better. During the 20 years the race has been groving. Today there are about 26.000 cyclists in all the mtb events, i.e Fredags Birken, Birken extrem, ungdomsbirken and Birkebeinerrittet. It is worth to mention that in less than 2 minutes when the online registration opens it us full. Hard to believe, but cycling and Birken is BIG in Norway. I am happy and also a bit proud that I have been making a bit of history by winning the race six times. Norway’s Rune Høydal has been winning it six times as well. So I am now in the same category as him. He is maybe the best known mountainbiker from Scandinavia. He has been doing a lot for our sport and is very popular in Norway. A better ambassador is hard to find. After the dinner I got into my bed at 00.30. I was very tired. After sleeping only 5 hours we had to get up and drive to Gardermoen. We made a stop by the famous Espa gasstation where I got some coffee and good tasting scandinavian pastries called bulle. My flight to Basel via Amsterdam was on time. Was good to come home. Slept 11 hours last night and had coffee and Norwegian brunost for breakfast. Just love this cheese. 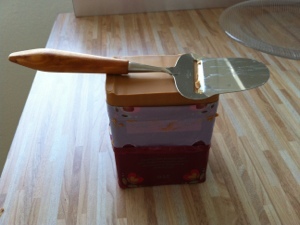 A piece of bread, brunost and jam. Yammi! On Wednesday I am off to Norway again. Alta, Skaidi, Hammerfest. Google it and you will see that it will become very exotic. Skaidi Xtrem on Saturday. Looking forward to some untouched wilderness in the north.